It’s always difficult to determine what kind of recognition will motivate and inspire employees to perform at their highest levels. 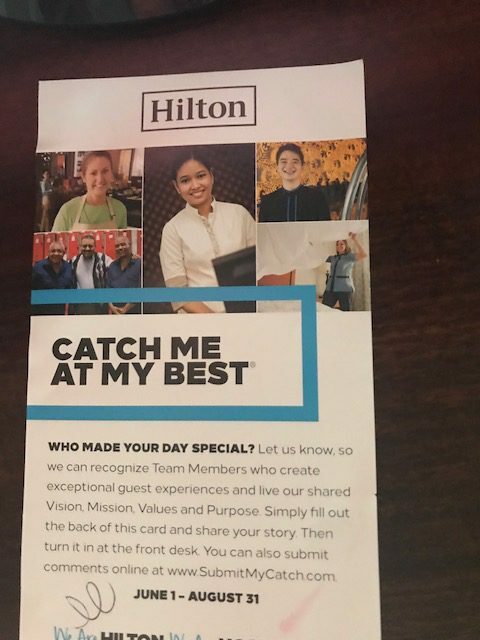 And even harder, is to get out of the mindset of catching employees doing things wrong and instead catch them doing something “right.” So, it was refreshing last week when I stayed at the Doubletree Hilton in Park City to see the “Catch Me At My Best” flyers displayed in the guest lobby. Guests are encouraged to complete the flyer and turn them in or submit their comments to a specified website. The flyer simply asks for the guest to complete the statement: “I want to catch (name of employee or description of employee) at their best. Here are the details (give one or two reasons why or what you caught the employee doing)” and it’s as simple as that! It is a recognition system set up to increase customer service in order to build customer loyalty. 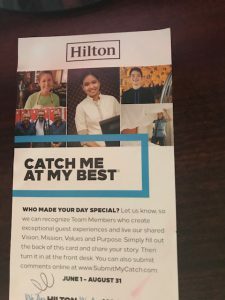 What does Hilton do to recognize the employees who receive these comment cards? Should they give a big cash bonus to the employee who receives the most guest compliment submissions? 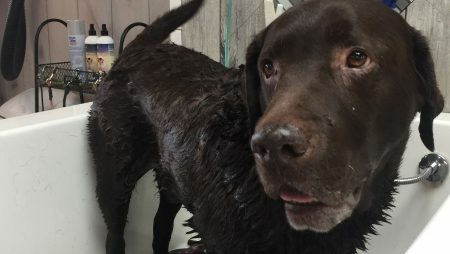 They could, but that would not be as effective as a simple pat on the back and word of praise from the employee’s boss. This was proven in an experiment conducted recently by Dan Ariely at Duke University to determine if incentives and recognition are just as significant a motivator as giving cash for better employee performance and customer service. In the experiment, a control group was established that offered absolutely no incentives. Three other groups were created and the group members were promised different incentives. One offered $30 cash, the second offered a family voucher meal i.e. pizza, and the third group offered a note of praise from the boss. The findings showed that the family voucher meal (pizza) was the most productive in motivating the employee to excel. The second was the praise from the boss, and lastly was the cash. 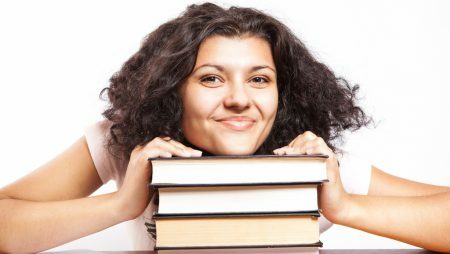 Everyone wants to feel appreciated, and by giving sincere and unique recognition, people are encouraged to perform at their highest levels. Money may drive people to action, but it is the personal recognition that inspires employees to go above and beyond.